Thursday, Apr. 7, was a huge day for Gilmore Girls fans, as Entertainment Weekly revealed that their newest cover features the first real behind-the-scenes peak at the GG Netflix revival. Superfans spent all morning dissecting every detail they could find from the previews and photos that were released, from the Gilmore girls' outfits to the announcement of a musical segment to, most intriguingly, Amy Sherman-Palladino's comments about Melissa McCarthy's potential return. 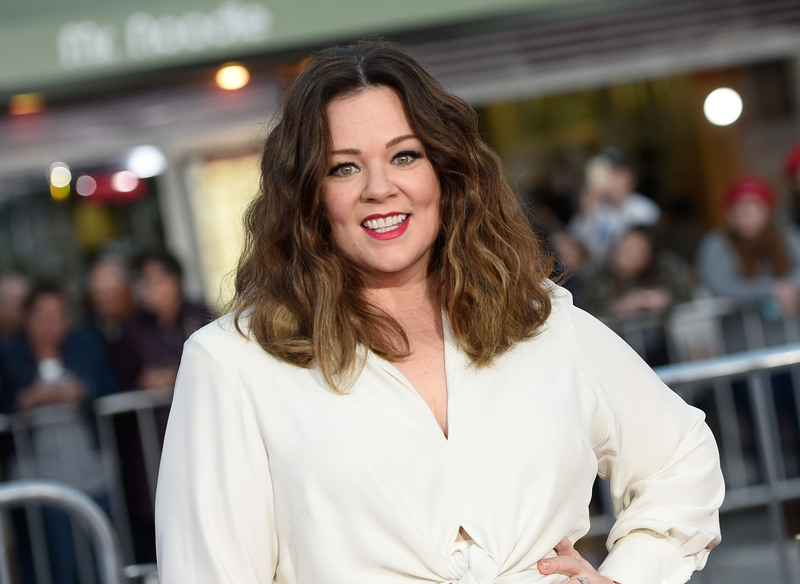 As many know, McCarthy, who played lovable chef Sookie, has claimed that she wasn't asked to be a part of the return, while Sherman-Palladino has claimed otherwise. And in the EW interview, Sherman-Palladino made it clear that if McCarthy wanted to come back, she'd be happy to make it happen. "I can get her in and out in two hours," said the Gilmore Girls creator. Meaning: if McCarthy were to agree to being on the show, Sherman-Palladino would ensure that it'd fit the actor's busy schedule. That'd be no easy feat, considering how hectic McCarthy's professional life currently is; her new movie, The Boss , hits theaters Apr. 8, and she has a starring role in this summer's highly anticipated Ghostbusters. The in-demand star will likely have even more projects lined up in a few months' time, as she's kept busy ever since her breakout film role in 2011's Bridesmaids. But that doesn't mean she'll be looking to book a role in Gilmore Girls no matter how quickly it could be done, unfortunately. EW revealed that in a recent interview with People and EW editorial director Jess Cagle, McCarthy said that she “would be very surprised if [a Gilmore Girls cameo] happens." She added that while she's "really proud" of her time on the show and is "excited" a revival is happening, a return from Sookie is unlikely to take place. "I think it was a really great show, and I love that those characters are going to come back. It just, timing-wise, was not right," said McCarthy. That may be sad news for Gilmore fans still holding out hope that Sookie will come back to Stars Hollow, but it makes a lot of sense, considering how busy McCarthy currently is. She's one of the biggest comedic actors in Hollywood, and chances are high that she already has several upcoming projects in the works. Still, it is disappointing to hear that a cameo is not looking likely. Sookie is one of the most beloved characters on Gilmore, and the revival won't be the same without her on-board. Yet as Sherman-Palladino's interview made clear, the creator of the show is open to having McCarthy on-board. So perhaps if there's an opening in the actor's schedule, fans will get to see Sookie make an appearance — even a brief one would be the source of much delight. Here's hoping they figure something out, because no Stars Hollow reunion is complete without Sookie St. James.